This area features the menus for Ragin' Cajun football home games. The Krewe de Chew prides itself on featuring the best food made from scratch. You won't see boxes of Popeye's Chicken or platters of Raisin' Canes Chicken Fingers on our tables! The only items not made in the kitchens of our Krewe members are the boudin and cracklins, which always come from the finest purveyors of these Cajun delicacies. 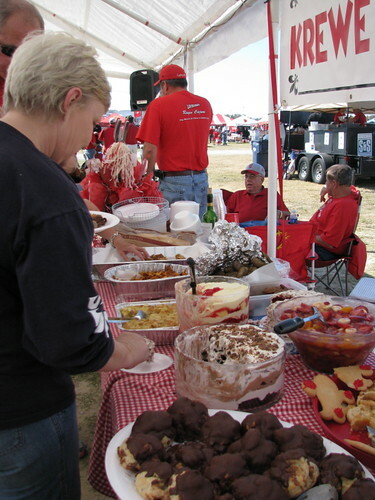 On each game page, you will see a list of the food to be served for that game along with the name of the Krewe member or couple furnishing the dish. Please, note that a dish representing our signature and/or tastiest dishes will be identified with *RC. The recipes for these dishes can be found in the Recipes section. Game menus will be posted during the week prior to game day.